At the beginning of the next school year, there will be five new faculty faces at Rock Creek, including one who replaces math teacher Caleb Gieber. 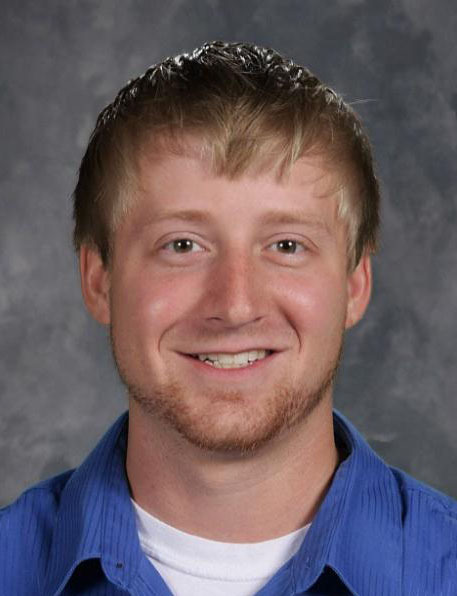 Gieber will be leaving Rock Creek for Pike Valley High School, which is in Scandia, Kan., at the end of this school year, even though this was his first year teaching Geometry and Algebra Concepts at Rock Creek. Gieber grew up in Belleville, Kan., which is just about seven miles from Pike Valley, so he said he will be returning closer to home. Gieber’s students said that they enjoyed many things about him as a teacher. Sophomore Ian Shriner said that he was looking forward to keeping in contact with Gieber. “I’ll be excited to play Xbox with Mr. Gieber next year since he will no longer teach me or be at Rock Creek,” Shriner said. Gieber said that while he will miss Rock Creek, he also looks forward to returning to home and to taking on new challenges, including being involved with the Pike Valley golf team. While Gieber was at Rock Creek, he tried starting a golf team, but that was unsuccessful. “I’m excited to be moving back [to Belleville], house shopping and starting a family, but I am going to miss the Manhattan area and Rock Creek,” Gieber said.